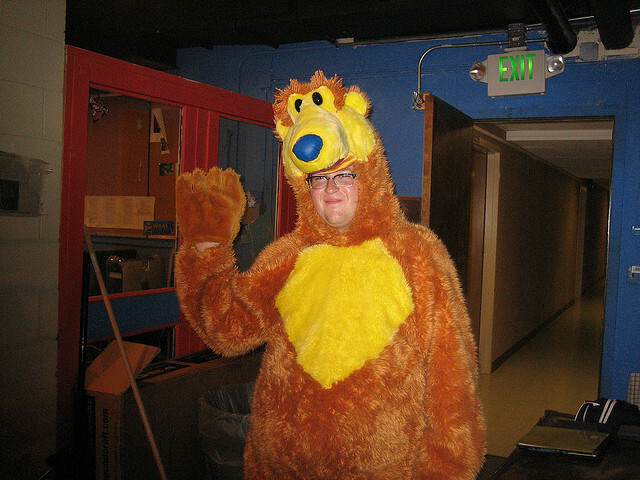 File this under “eating your own dog food”, or in this case, bear food. 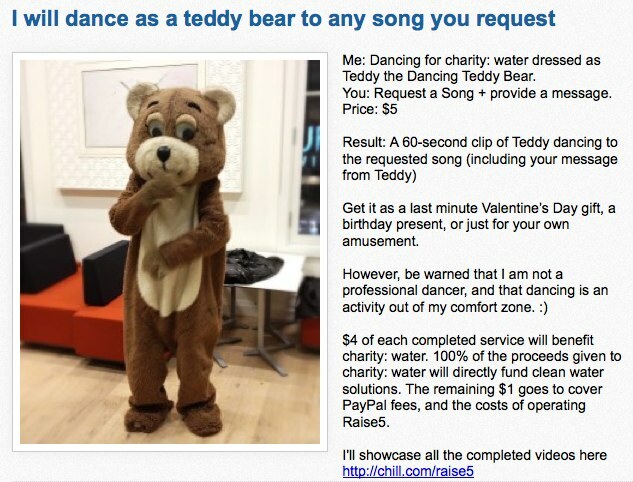 The co-founder of Raise5, a charity fundraising site that lets people offer up any product or service in return for a $5 donation to their charity of choice, is offering to sing any song to your Valentine while dressed up like a bear. That’s right, to raise money for charity: water Hassan Hassan will sing any song and dance along to it in a video for your gifting pleasure. When this email came through, I chuckled and thought “Who wouldn’t want to receive a dancing a bear video AND a donation to charity as a gift?”. The Raise5 project was launched in Toronto during the last Startup Weekend in November. The site hopes that the service will enable anyone to leverage their skills, talents, knowledge, and creativity to raise money for charity $5 at a time.